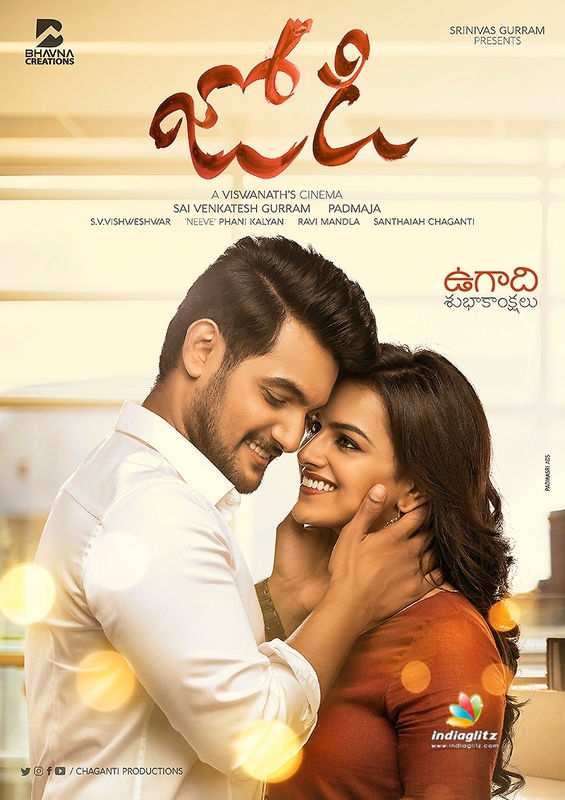 'Jodi' marks the coming together of Aadi Saikumar and Kannada actress Shraddha Srinath of 'Jersey' fame. The film's First Look was unveiled on Saturday. "This one is a youthful family entertainer. An interesting flick with unique sensibilities, its shooting over," director Viswanath Arigela says. The debutant director had previously worked on 'Vaana' and 'Maska' as an assistant director. VK Naresh, Sathya, Vennela Kishore, Swapnika, Sitara, Madhavi and Gollapudi Maruthi Rao are part of the cast. Music is by Phani Kalyan. Cinematography is by SV Vishveshwar. Editing is by Ravi Mandla and dialogues are by Thyagaraju.